Our Magnetic pillow pads are a great addition to Magne-Sleep and the cover is Pure Quilted Cotton for ideal cool head rest. 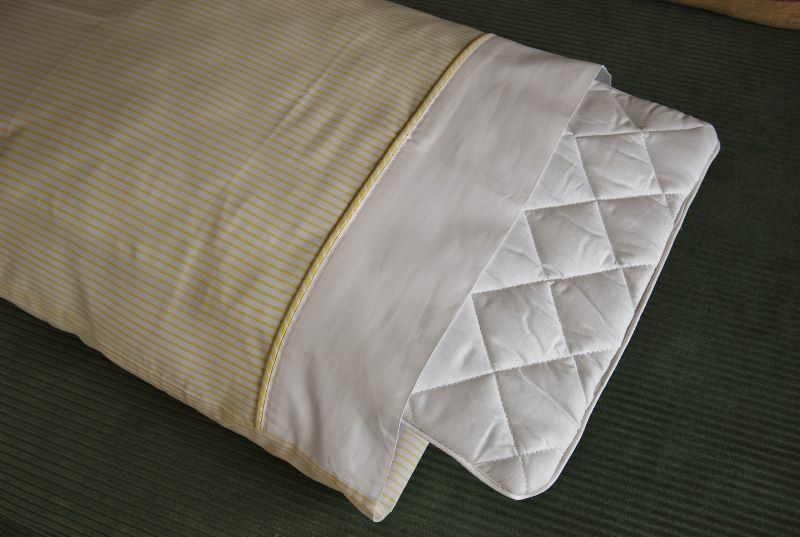 Place Magne-Pad, quilted side uppermost, inside the pillow case and closest to your body. – see image. Use to treat neck stiffness, shoulder soreness, tinnitus discomfit, migraine pain and sleep problems. Also use away from your bed, in your armchair and behind your back or to sit on. And great to wrap around aching legs or to rest your feet on. Use also away from home at work, in your car, or pack for travel. Magnets: The same large (12) magnets as in our underlays. Clean: Hand wash, do not squeeze. Hang to dry or lay flat. Do not dry-clean nor use a drier. Magne-Pillow Pads are a great addition to your Magne-Sleep and used on or away from your bed. 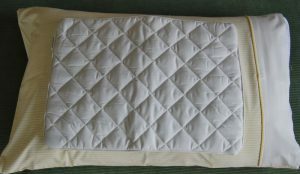 They are topped with Pure Cotton Quilt for ideal cool head rest. Place Magne-Pad, quilted side uppermost inside your pillow case. See image. Use your Magne-Pad to treat neck stiffness and shoulder soreness, tinnitus discomfit migraine pain & sleep problems. Also a great chair pad, back pad and to wrap around aching knees or ankles, or to rest tired feet on. Magnets 12 x large magnets as in our underlays. Clean: Hand wash, do not wring, hang to dry. Do not dry clean nor use a drier.